While it’s easy to get club night fatigue in the onslaught of weekend London, there is a small handful of djs whose appearances in the capital still mark events. The return of Motor City Drum Ensemble to Saturday’s Nofitstate party is a chance to see a rare talent worth marking the calender for. What differentiates the great producers from the good? In the limited parameters of dance music it's sometimes easy to miss the true masters, but the prodigal talent of Danilo Plessow has seem him stand out when others are still starting out. 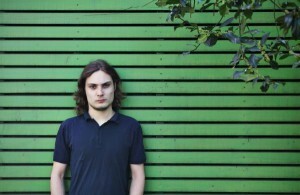 Although Stuttgart born and Cologne based, his recording moniker Motor City Drum Ensemble references the music of Detroit – the birthplace of electronic music, with its techno pioneers and unique house sound. And while the music of the past informs his refined productions, he is not slavishly trying to recreate the sounds of yesterday. Instead he works in the same mindset almost as producers like Moodymann and Theo Parrish, producers whose intent is not to tear up the dancefloor, but more on exploring the continuum of soulful expression. The Deep Cuts series of vinyls that made his name saw him expertly stitch snippets of funk and soul tracks into muscular deep house anthems, a run of records that just a few years on already holds mythic status. His outstanding DJ Kicks mix from last year chose not to showcase the hottest new sounds from Berlin, but to weave a tapestry of the soul, jazz and early house records that so inspire Plessow’s original poductions. It doesn’t matter that Detroit is 4,000 miles away –- this type of music is a feeling, not a postcode. And besides, when has being German got in the way of creating fantastic electronic music? The night, in the classic 'as yet undisclosed East London Warehouse location' will also feature sets from Desolat’s tINI, offering cuts of her Ibiza inspired tech house, and Mulletover label boss Geddes cranking out those sweet house sounds. Wherever it takes place, expect the motor city to feel that little bit closer. Nofitstate feat Motor City Drum Ensemble, Tini, Geddes at TBA - East London, Saturday, 17th March. Tickets are available here.